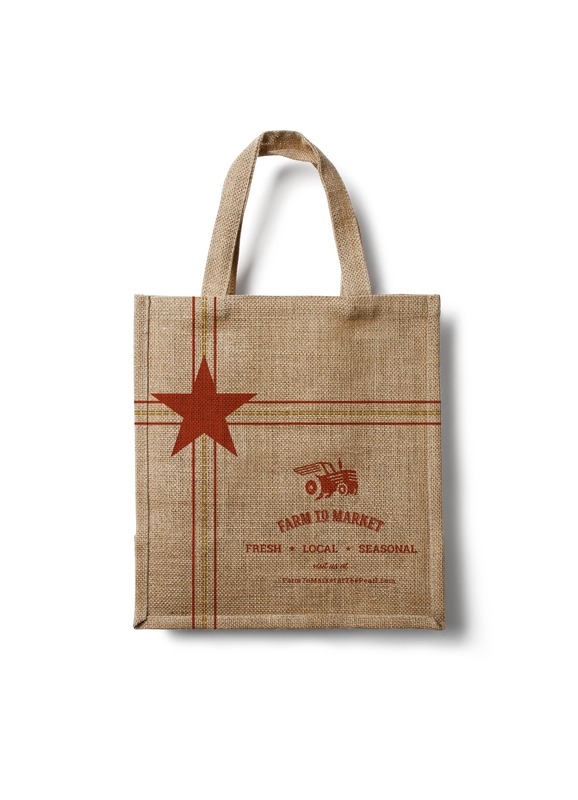 Farm to Market is a farmers market located in San Antonio Texas, where customers find; specialty products of high quality and great value. Beyond the on-site sales, they offer on-line shopping plus delivery. 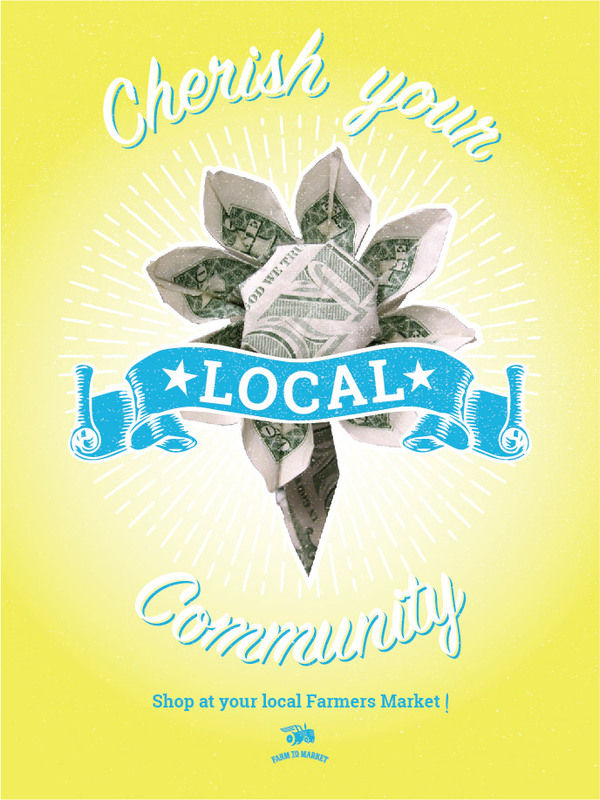 Farmers markets are not known for their branding and their performance is affected by this. Adding a strong branded experience will help costumers have a memorable experience and increase their costumer interaction. 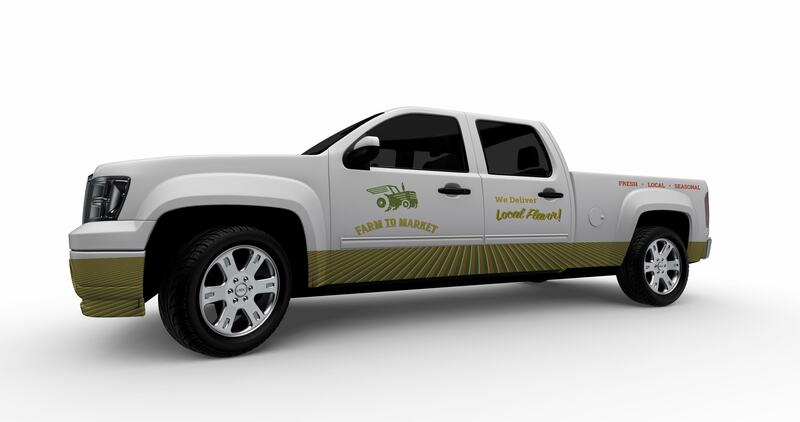 The logo is constructed by adding wings to a tractor, representing the new addition of home delivery that they offer. 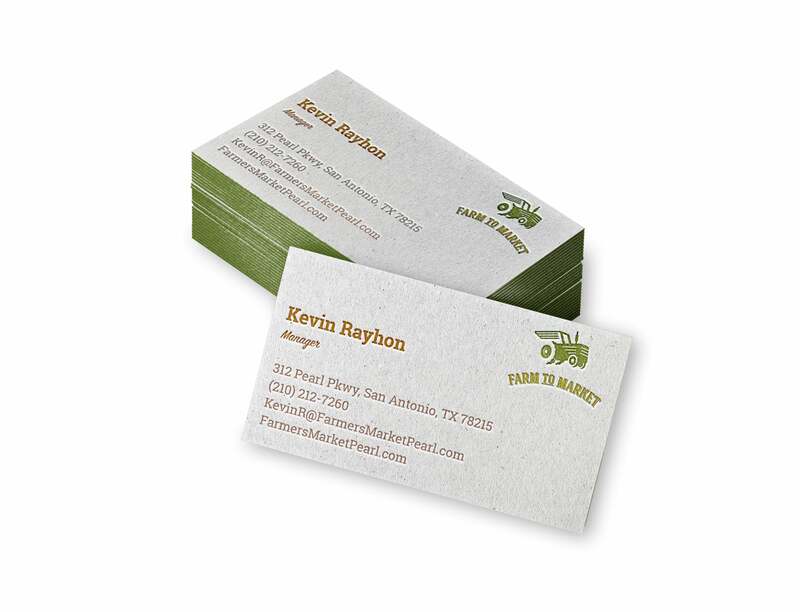 This set of business cards are to be used by the farmers market manager. 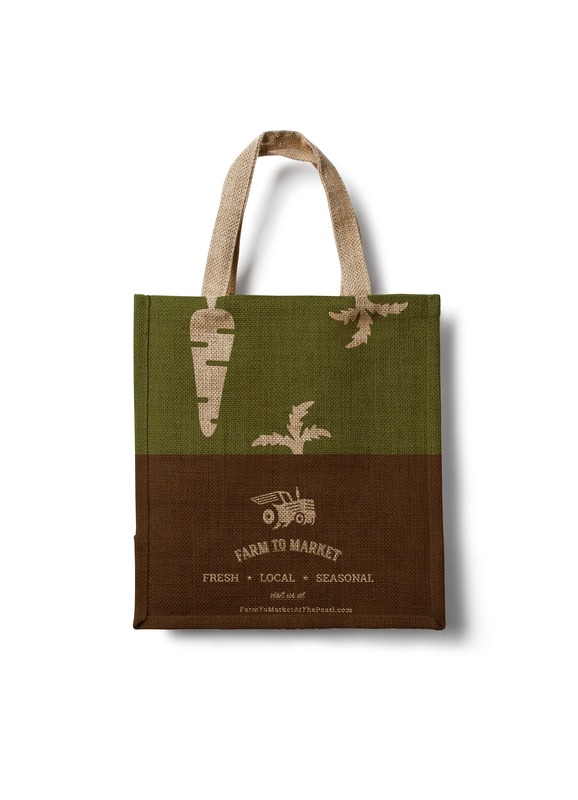 This series of reusable bags serves to grow the presence of the farmers market beyond its location. 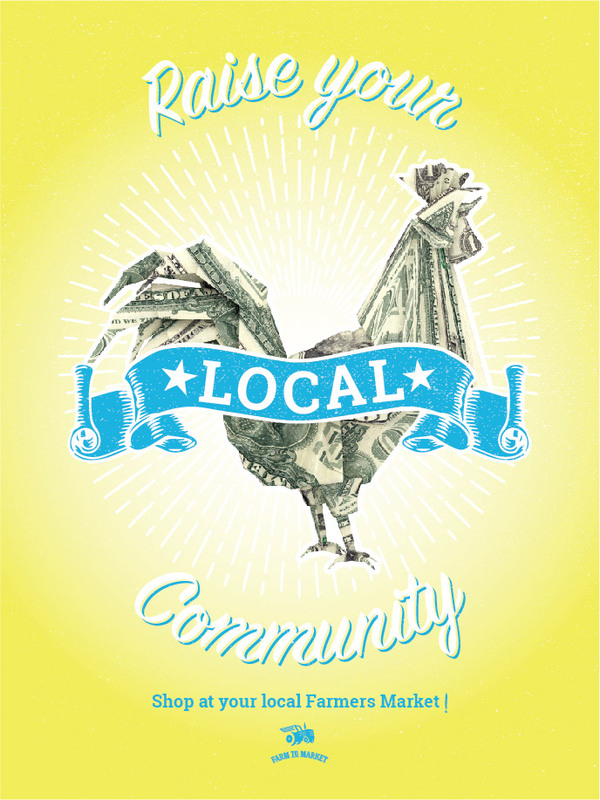 The series illustrates fresh, local and seasonal attributes of the farmers market. 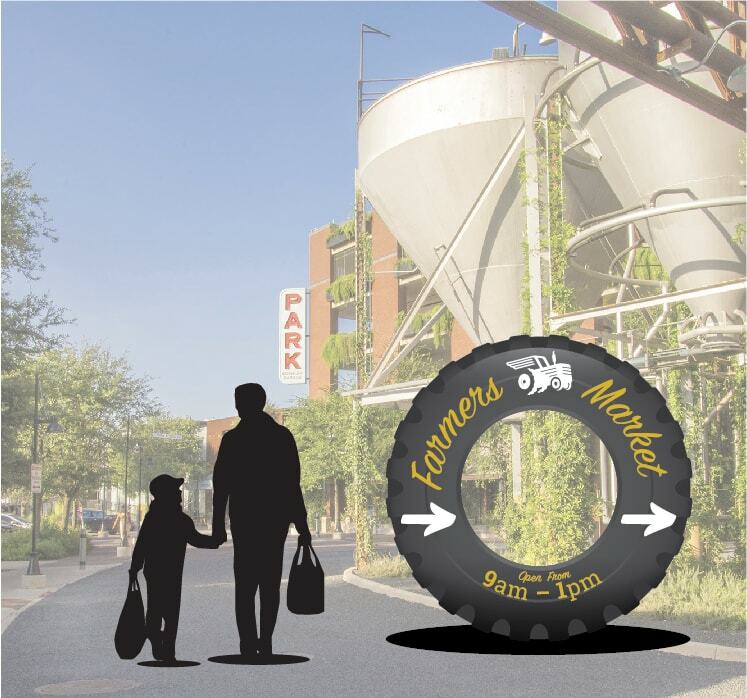 The use of this sign helps guide costumers to the location of the farmers market. This also serves as an opportunity for costumers to photograph the sign and share it through social media. One of the biggest deterrents for people to attend the farmers market is parking. 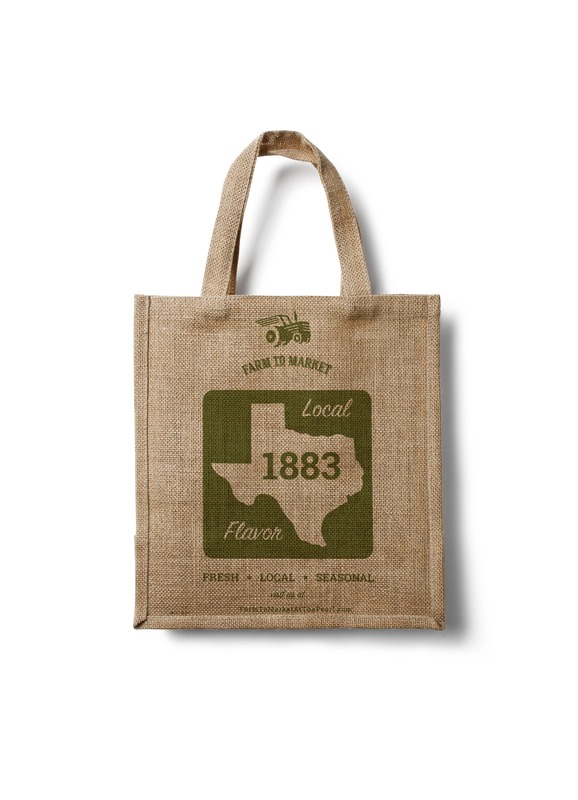 The website makes purchasing local products convenient. 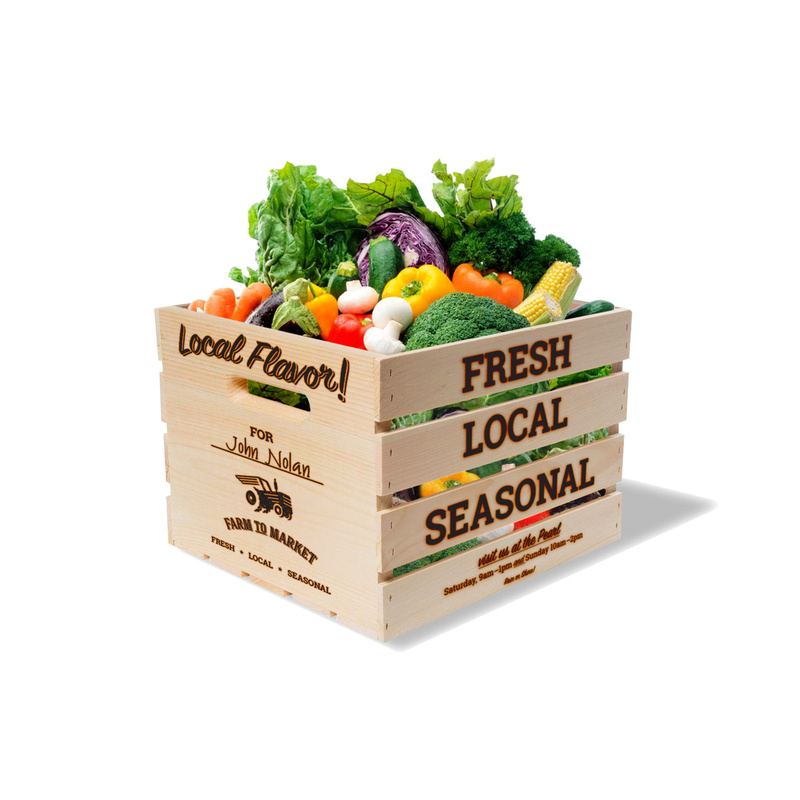 The website makes purchasing local products engaging and convenient. The website also provides valuable feedback to the farmers. 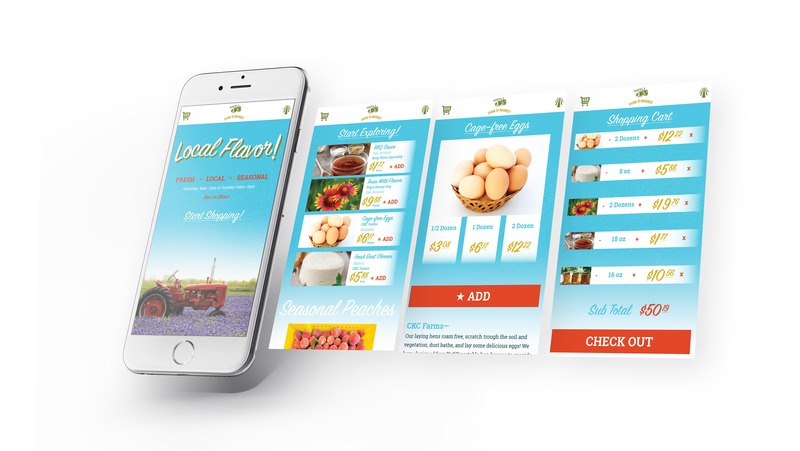 The images shown take the costumer from the home page, to products available for purchase, then the different purchasing options and finally the cart view. 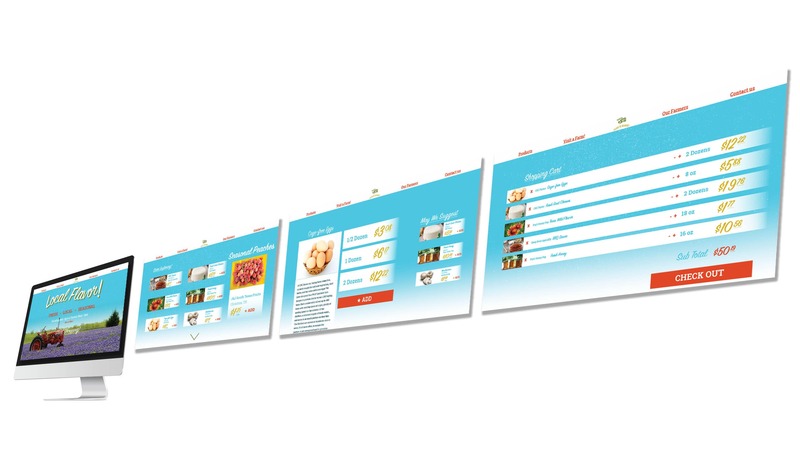 A delivery truck is utilized to deliver to customers home once they finalized their on-line order. The delivery box serves as a perfect opportunity to show costumers how important their support is, this is done by adding their name to their delivery box. 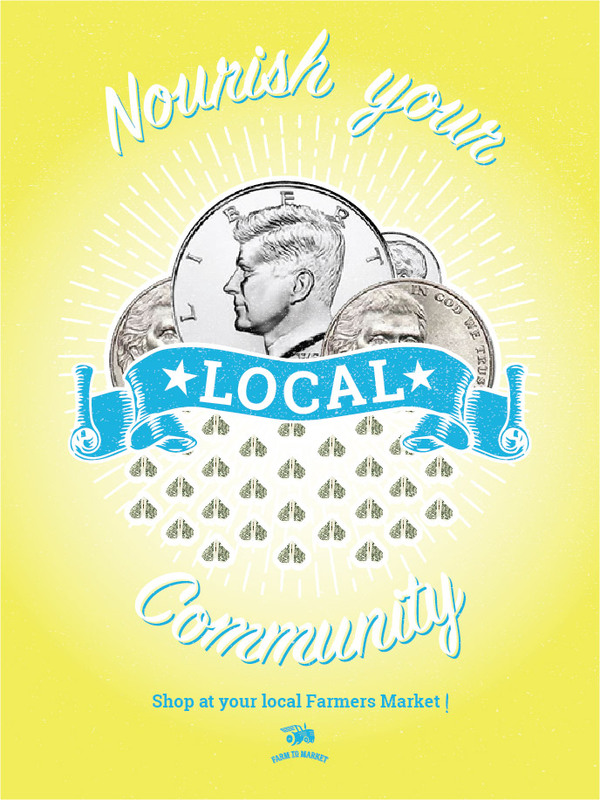 A three piece ad campaign is set to illustrate how important local financial support is to this local farmers market.